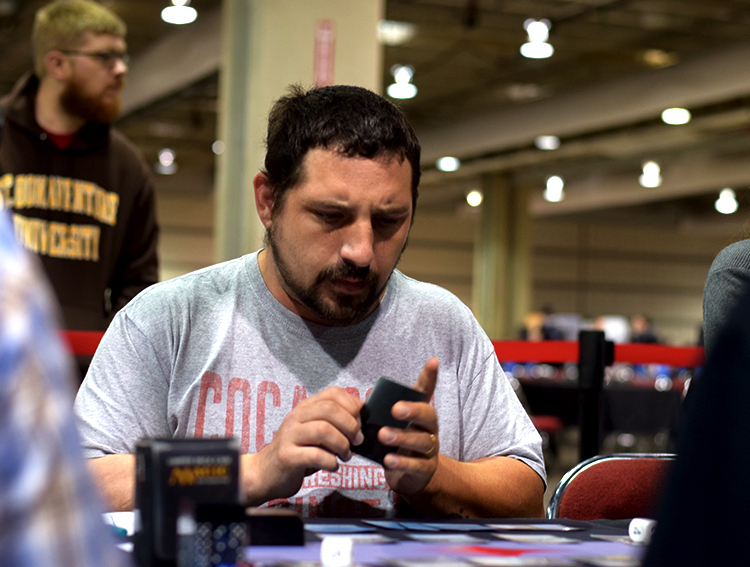 Day 2 of GP Pittsburgh began with 198 of the original 929 players returning to fight for a place in the Top 8. Seven players with perfect records of 8-0 topped the standings, with two more at 7-0-1 – because there's no undefeated quite like technically undefeated – right behind them. Players at all spots in the standings chose different ways to take on the menace that is Goblin Chainwhirler. 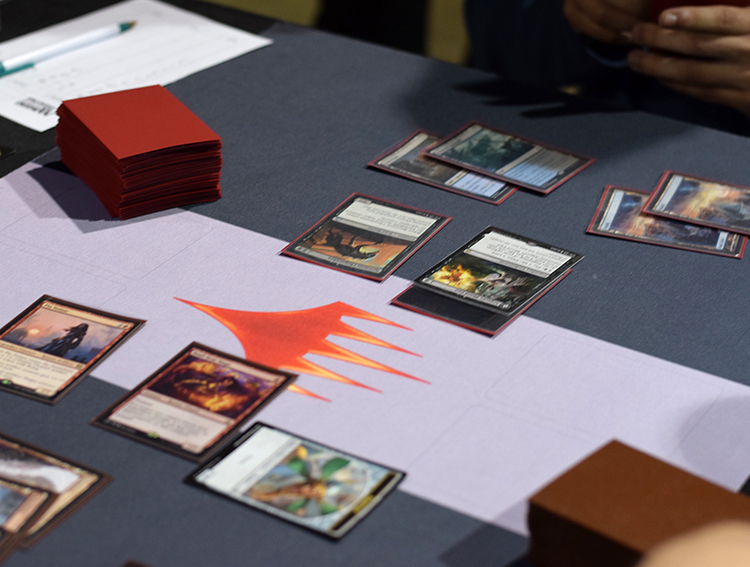 Some chose to embrace the card, opting for popular Black-Red or Mono-Red Aggro strategies. Others turned to old familiar friends like White-Blue God-Pharaoh's Gift or Blue-Black Midrange, with a suite of lifelink creatures at their disposal, in an attempt to stem the aggro tide and recuperate their lost life totals. 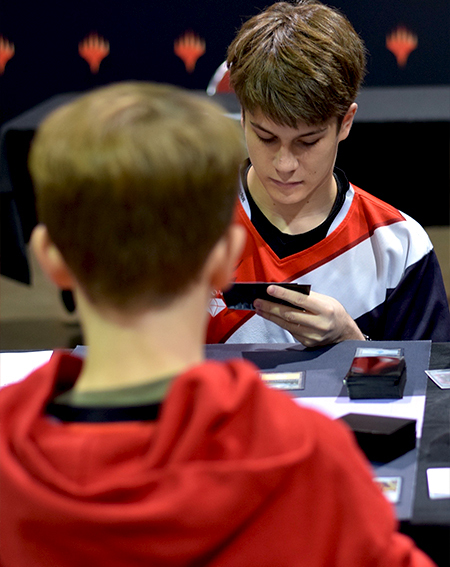 Still other players went for the entirely, or almost entirely, unknown in their quest for the GP Pittsburgh trophy, and rogue decks fought their way through both days of the tournament. 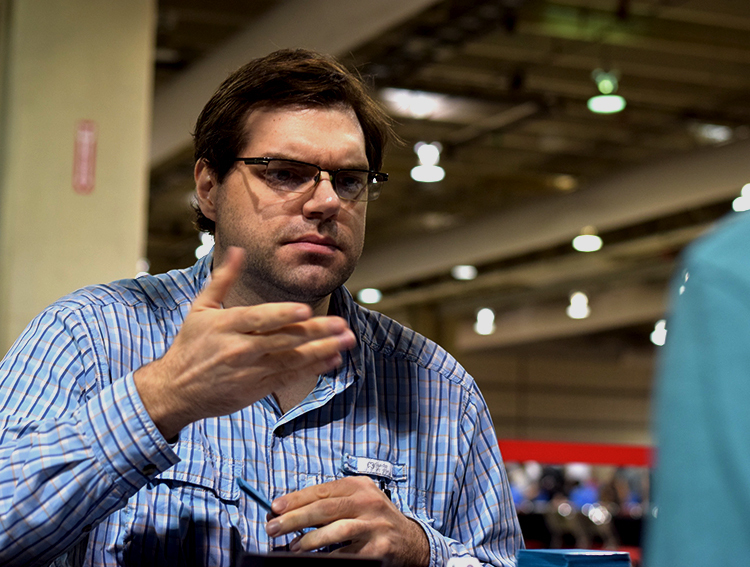 As always, Standard play was far from the only thing happening in the tournament hall, so keep reading for the GP Pittsburgh Day 2 highlights. Congratulations to Braham Thomas, GP Pittsburgh Champion! 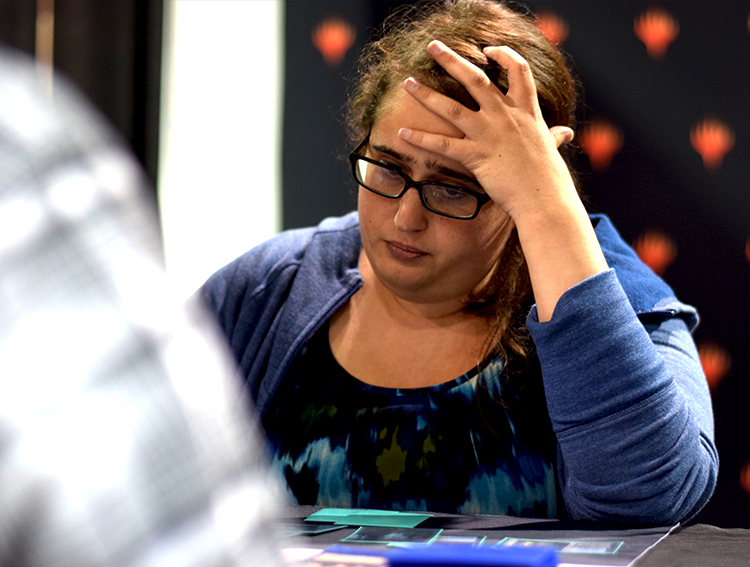 At the end of Round 15 of GP Pittsburgh, only eight players could carry on. 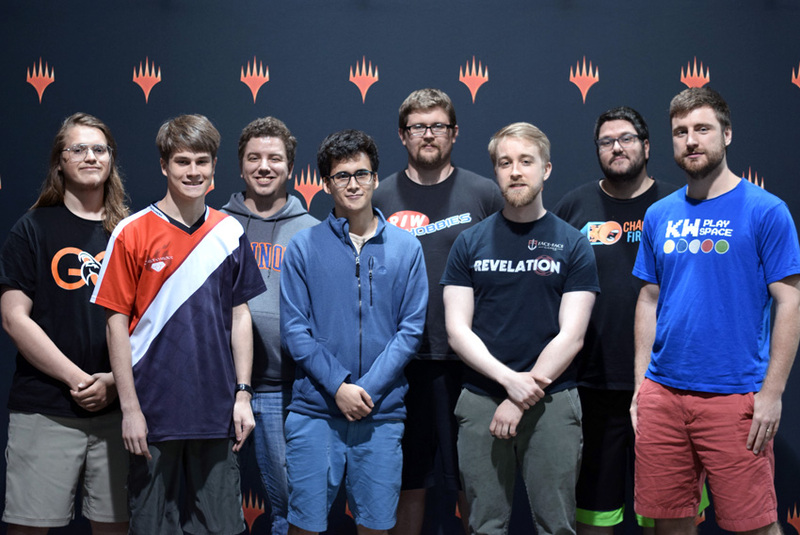 Entering the Top 8 were Braham Thomas, Morgan McLaughlin, Scott Matthews, Jack Kiefer, Zach Allen, Oliver Tiu, Mike Sigrist, and Paul Dean. Their decks included two Black-Red Aggro, Mono-Red Aggro, Blue-Black Midrange, White-Blue God-Pharaoh's Gift, and Esper, white-blue, and blue-black flavors of control. In the quarterfinals Thomas, McLaughlin, Kiefer, and Tiu prevailed over Dean, Sigrist, Matthews, and Allen. In the semifinals, a Sorcerous Spyglass to stop Chandra, followed by a timely Scarab God, closed a tight game three for Oliver Tiu, who defeated Morgan McLaughlin and his Black-Red Aggro deck with Blue-Black Midrange. 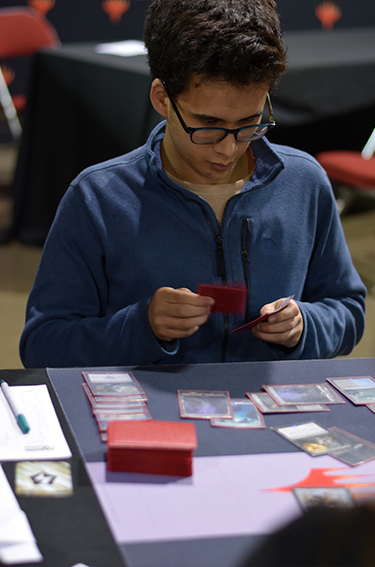 A table over, Braham Thomas, on Mono-Red Aggro, won another very close game three, his over Jack Kiefer, a member of Team Cardhoarder playing in his first GP Top 8. 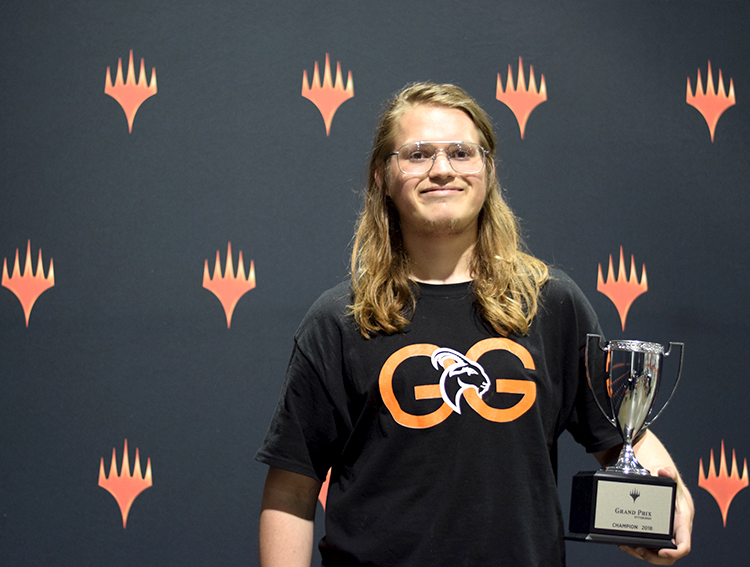 With that, the finals came down to Braham Thomas, from Saint Charles, Illinois, on Mono-Red Aggro, versus Oliver Tiu, the 2015-2016 Rookie of the Year and Constructed Master, on Blue-Black Midrange. 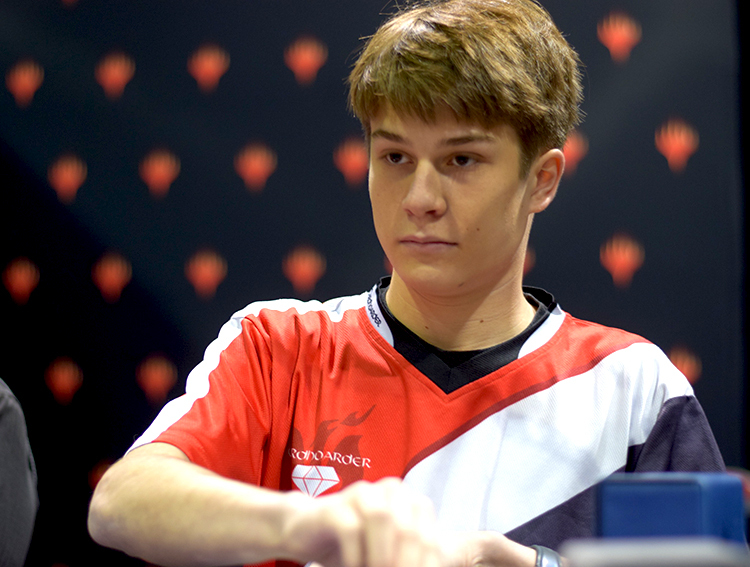 In game one of the finals, it looked as though Tiu might stabilize when he exiled Thomas's Hazoret with a Vraska's Contempt that left him at three life. A few turns later, however, Thomas had the lands he needed to eternalize an Earthshaker Khenra, and Tiu, without an answer, conceded. 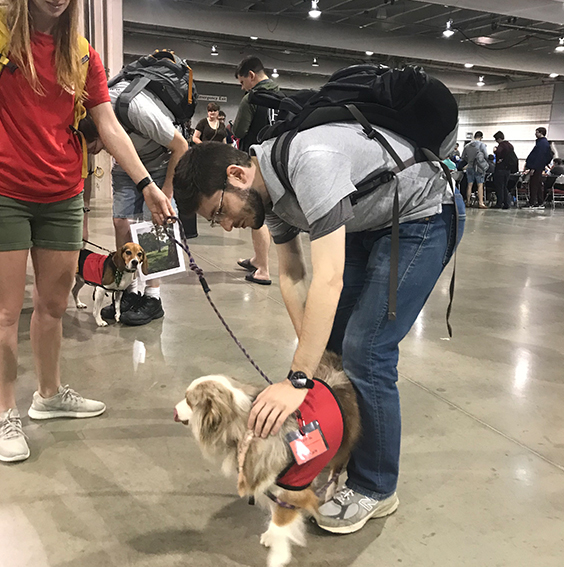 It's been just three weeks since Pro Tour Dominaria in Richmond, where Goblin Chainwhirler dominated the competition. There, the brutal three-mana 3/3 found its way into seven of the top eight decks. Three weeks is a long time, however, in an evolving Standard metagame. Half a world away, Yuuki Ichikawa took down Grand Prix Singapore with White-Blue God-Pharaoh's Gift. In Round 11 of GP Pittsburgh, Jack Kiefer was the lone remaining undefeated player, piloting that same deck. Black-Red and Mono-Red still loom over the rest of the field. Black-Red Midrange, copies of cards like Vraska's Contempt and Karn, Scion of Urza differentiating it from its more aggressive sibling, is the much less preferred version of the black-red Goblin Chainwhirler builds. Esper Control has over taken White-Blue as the most popular control deck among Day 2 players. Esper colors don't make players choose between some of the most powerful cards available to them. Instead they welcome Teferi, The Scarab God, Vraska's Contempt, and Search for Azcanta with open arms, enthusiastically embracing the best in removal, planeswalkers, and creatures. Notable, too, is the resurgence of Blue-Black Midrange and White-Blue God-Pharaoh's Gift. Popular in the spring, the decks faltered with the release of Dominaria, but are now again on the rise. With access to cards like Gifted Aetherborn and Sunscourge Champion, they're looking to gain enough life to buy time, run their aggro opponents out of cards, and eventually take over the game with their powerful creatures and synergies. Miscellaneous decks included Abzan Sagas (the list is available in the tournament 9-32 decklists, and is a new favorite of mine), Green-Blue Hadana's Climb, Grixis Energy, Sultai Cycling, and different color combinations for decks surrounding cards like God-Pharaoh's Gift, Approach of the Second Sun, and History of Benalia. 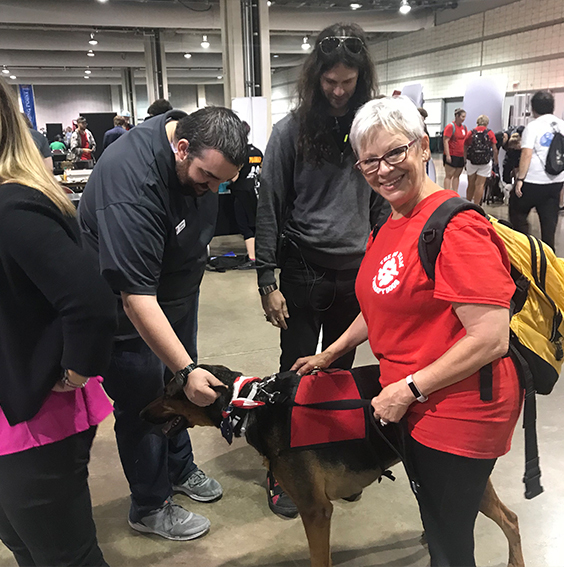 Though the release of Magic 2019 is only a few weeks away, some players still took GP Pittsburgh as an opportunity to uncover the as-yet undiscovered possibilities of the current Standard format. In Round 9, Darren Poltorak stunned us all with his Blue-Black Antiquities War deck that transformed a pile of artifacts into a destructive set of attacking 5/5s. Even if he didn't have the Dominaria saga in play, a Herald of Anguish could always hit the table early enough to cause problems for the opponent, or the -2 ability on Karn, Scion of Urza could make sizable constructs. With so many artifacts in the deck, Merchant's Dockhand is a particularly exciting inclusion, since activating it can find a whole swath of cards. Every artifact in Poltorak's deck was essentially able to do one of any four jobs at any given moment. For example, Sorcerous Spyglass, a common inclusion in sideboards this weekend, can negate a threat in an opponent's deck, eventually attack as a 5/5, help dig deeper with Merchant's Dockhand, or power out a Herald of Anguish ahead of schedule. Stephan Laikin took Slither Blade, an Amonkhet draft favorite, and piloted it all the way to a win in Round 9. While a mono-blue fliers deck has been floating around online for a few months, it hasn't been out and about at tournaments much. Laikin's Mono-Blue Aggro deck was a variation on those fliers decks, using the unblockable Slither Blade in place of other early creatures. With a Slither Blade in play and a Curious Obsession on it drawing Laikin cards, it came down to other creatures like Siren Stormtamer or spells like Spell Pierce to keep it safe. At least two players showed up in Pittsburgh wondering if they could harness the as-yet untamed power of saprolings, with, of course, a few ways to keep them out of range of Goblin Chainwhirler. Each deck went about it in a slightly different way, one of them so all-in on saprolings that it went so far as to include Spore Swarm and Sporecrown Thallid, but both used Song of Freyalise to ramp out their spells and grow their creatures. Kyle Lerch made it to Day 2 with his Green-White Tokens deck that made tokens of almost every possible kind, including vampires, knights, constructs, servos, and saprolings. In addition to Song of Freyalise, he had four copies of Benalish Marshall to boost his team. 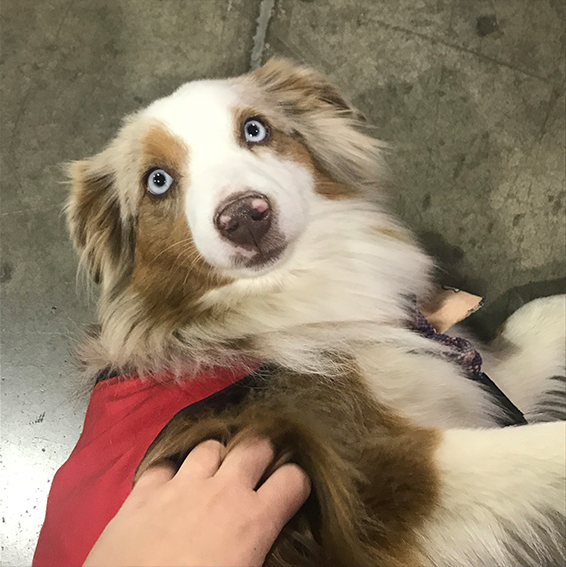 While Jack and Quinn Kiefer are on the same team most of the time (Team Cardhoarder, that is), Day 1 of GP Pittsburgh saw the two pitted against one another in a battle mirrored many others across the tournament hall this weekend - Mono-Red Aggro, piloted by Quinn, versus White-Blue God-Pharaoh's Gift, piloted by Jack. It was a tense and competitive match, because while they're family, they're also fierce competitors who have been playing Magic for roughly half their lives. While Quinn was able to take a swift game one, his aggro deck running wild over Jack's life total, in game two an early Angel of Invention, eternalized by God-Pharaoh's Gift, took Quinn's Chandra off the board and bumped Jack's life total above 20, essentially sealing up a win. Jack ultimately took the match, but it seemed meant to be, since it was one of many wins for the sixteen-year-old player on his way to his first GP Top 8. 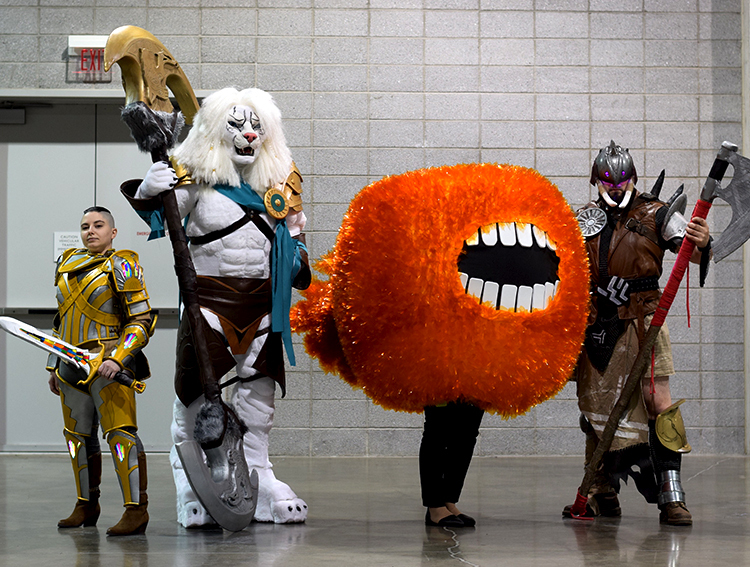 On Day 1 we explored some of the amazing cosplay in the hall at GP Pittsburgh. 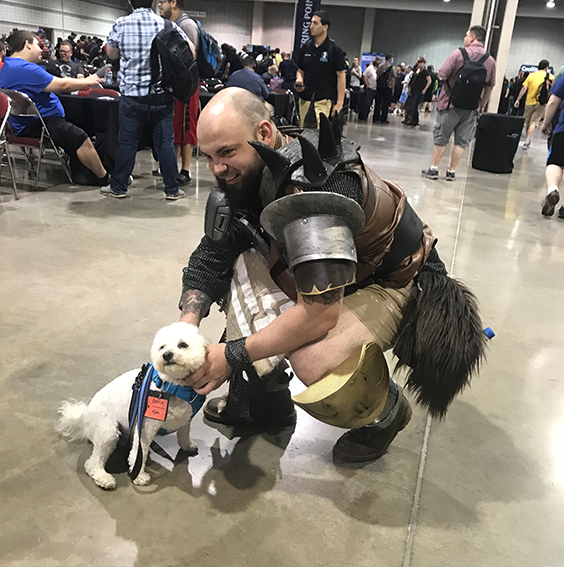 You can read all about, and see more detailed photos of, Adam Barnello's Garruk cosplay in yesterday's highlights here. 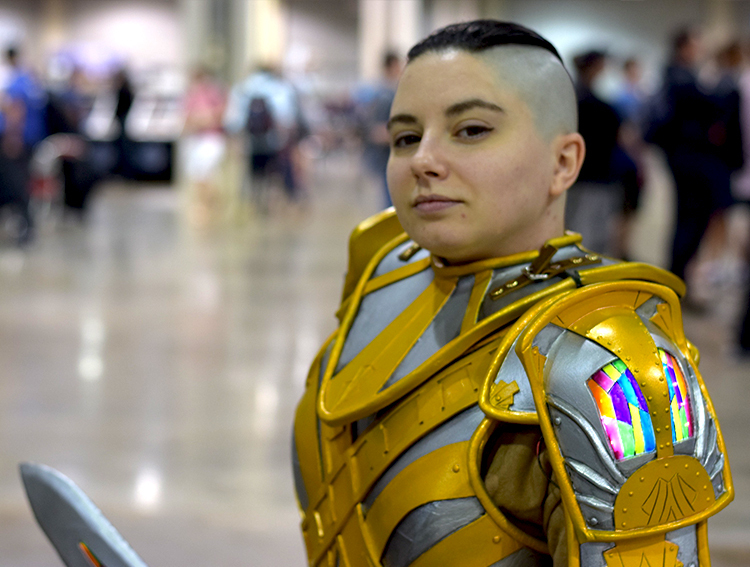 Today, this Danitha cosplay from @jackalcostuming captured everything I love about Danitha. The awesome hair, the fierce look, and, of course, the amazing stained glass details. 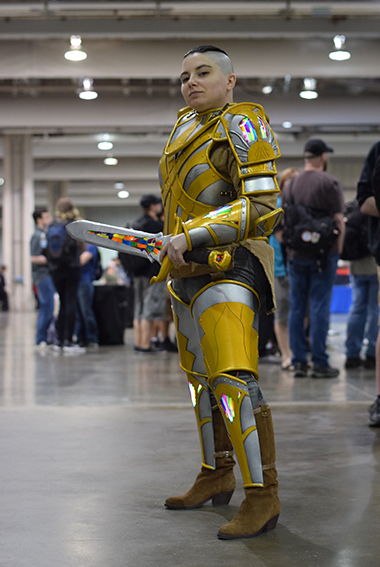 Danitha's signature armor look was achieved using hand-painted plastic with rings of LEDs beneath it for the glow. Later in the day, Ajani joined the team (another incredible endeavor from Jackal), giving Pittsburgh its own impressive set of friends: Garruk, Danitha, Ajani, and of course, Fireball. I'm not sorry for that pun, and I'm not sorry that this section is mostly going to be photos of dogs. 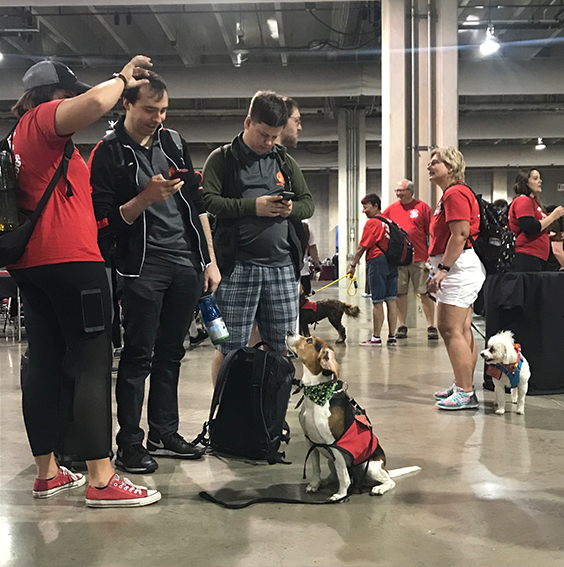 This is my one opportunity to post multiple photos of dogs and have it be related to the Grand Prix, so here are photos of some Very Good Dogs who were at the convention center for service dog training (from @GoTeamDogs) on how to ride escalators, and then came to visit players at the GP. Wow. Dogs are great. GP Pittsburgh was, likewise, great. Congratulations to all competitors, and, once again, to winner Braham Thomas!